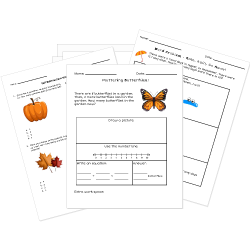 Free Printable WORD PROBLEMS Worksheets. These word problem worksheets challenge students to apply math skills in the context of real world scenarios. Don't see a printable you need? Use our Test Maker™ to create your own printable that fits your needs. Browse mixed operation word problems questions or use our advanced search to find existing questions while filtering by grade levels and keywords. Algebraic Expressions - Word Problems new! Vectors - Word Problems new!